★★ Gray haze reached up toward gray cloud, both of them pale and inconclusive. The clouds wavered and cracked to admit some blue. Hosed-down sidewalks stayed wet, and the air in the subway was close. Someone put on sunglasses against a glare that was only incipient; now and then a gust of breeze came up and went down again. 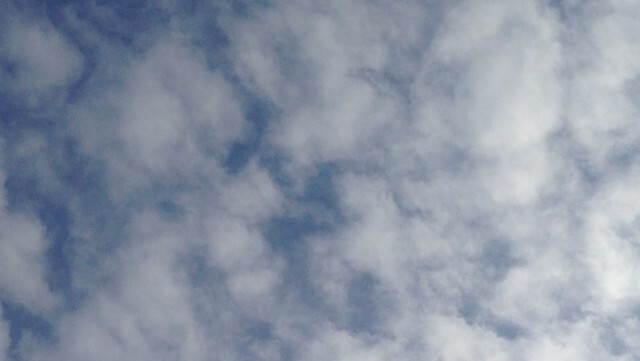 The sky of clouds split by blue became one of blue full of clouds. Then by midafternoon it was altogether clear blue, and the sunlight was arriving with a little warmth on it, through a scattering whiteness downtown. Enough clouds reappeared to decorate the sunset. In the night, on the plaza outside the opera, a mist was coming down onto the building tops, boxing in the glow of the electric lights.